Not all anabolic steroids are suitable for beginners in bodybuilding. Many of them are produced with the expectation of use by experienced athletes, even with respect to minimum dosages. A direct example of such steroids is trenbolone (from short ester acetate to a long-acting enanthate), which surpasses testosterone itself in terms of anabolic and androgenic activity. Immediately use strong steroids is a big mistake. Turinabol, boldenone, methandienone, testosterone propionate, stanozolol (and others) – these are the right steroids for beginning bodybuilders. Their safety while observing the recommendations is not in doubt, and the efficiency is not the highest, but sufficient for noticeable results. Novice athletes are recommended by experts to have more “soft steroid drugs”, which at the first stages provide pronounced results, but not associated with an increased risk of side effects. And this is the right approach. The “titans” of the omnidren type, oxymetalone, trenbolone single ethers, or the tri-sim mix will come at a time when the needs corresponding to their strength appear. Today we will consider steroids for beginners and at the same time we will understand why they are chosen. This is perhaps the most frequently recommended drug for the first course. And not without reason. 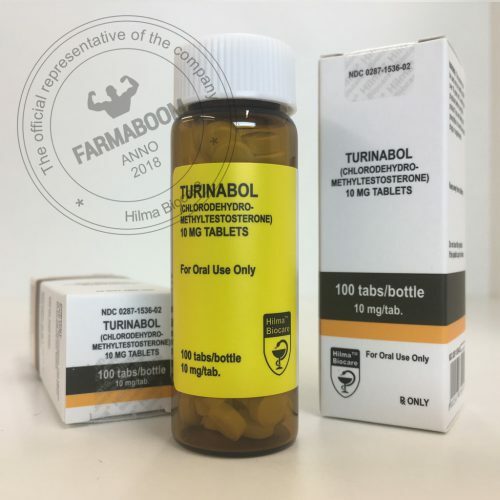 Oral Turinabol (this is how the drug was originally called, and after having acquired various trademarks, from Turinadrol to Turhoged) appeared in the middle of the last century, and over the years it has become a guarantee of success for many novice athletes. Turinabol for beginners in bodybuilding is effective, because it was created specifically for sports purposes (while many steroid analogues were originally intended for medicine, Oral Turinabol was synthesized for profile use by athletes). It was developed as a counter-argument to the methandienone, but at the output they received a largely unique drug with a milder effect on the recipient. East German specialists were responsible for the development of the steroid. For clinical use, it was introduced as early as 1965 and at that era was a key anabolic for approximately ten thousand athletes from the GDR (used to prepare for many key tournaments, including the Olympic Games). What improvements does Turinabol provide for beginners, and not only athletes? Steroid boasts an anabolic activity index of 180% of testosterone. Androgenic activity is reduced and it is about 50% of this in testosterone. The effect of the drug is rapid (about 6-8 hours): activity is felt literally from the first days of the course, but the improvements develop smoothly, progressing over time. An increase in muscle mass, an increase in muscle density and relief, an increase in strength, endurance and performance. With normal use (within the recommended doses) side effects are rare. No cases of overdose have been reported. Possible on the course are perhaps violations due to androgenic action (rarely – acne, greasy skin, increased aggression), estrogenic action (even less often – fluid retention, high blood pressure, gynecomastia) or hepatotoxicity. The pullback from turinabol is usually insignificant, or completely absent, which is another of its advantages. What dosages of Turinabol are recommended for beginners? The optimal dosage is considered to be within 30-60 mg per day. This is a short-acting steroid tablet (pill or capsule), so it is advised to apply it on a course on a daily basis (individually on an empty stomach or after a meal). The average duration of treatment is 6-8 full weeks. For girls, reduced doses are allowed — 5–15 mg per day for a total duration of 4–6 weeks. Turinabol, due to its mild action and non-binding side effects, goes well with almost any current anabolic and androgenic steroids. And since it is not peculiar to a strong fluid retention, it can even be used on drying courses to increase the density and relief of muscles. In other words, it is almost universal steroid, which is perfect for the purposes of the novice bodybuilder and any athlete. Novice Turinabol (T-BOL) is used both in solo and in combination (depending on the level of training and priorities). Analogs on the active substance (chlorohydromethyltestosterone): Turanabol, Turinadrol-10, Turinabolos, Turinover and other drugs of various companies. Testosterone esters are the basis of many effective bodybuilding courses. And if experienced athletes more often choose extended steroid esters (enanthate or cypionate), then short propionate is usually recommended for beginner athletes. It retains less water and is generally considered the safest testosterone, while acting quickly and efficiently. What is required. In terms of side effects, testosterone propionate for bodybuilding beginners is almost harmless. In some cases, of course, there can be violations of the androgenic (from acne to increased libido) or estrogenic nature (fluid retention is characteristic, and side effects like gynecomastia are practically excluded), but, as a rule, they are swift and easily tolerated. The consequences of reducing the production of your own testosterone can be prevented with the help of PCT (post course therapy) and auxiliary drugs (testosterone boosters). A potential minus steroid is the need for frequent injections. 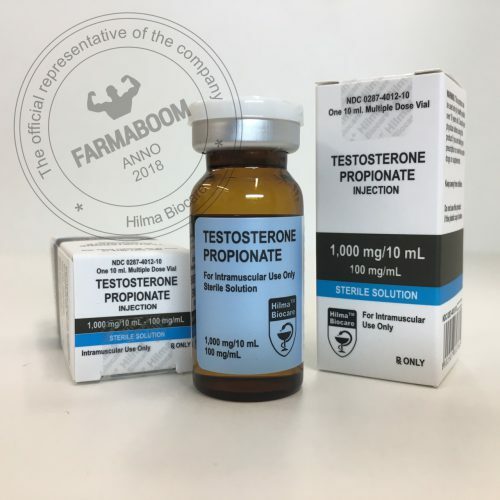 Testosterone ether propionate acts on average from 2 to 3 days, it is recommended to inject it with a frequency every other day or at least once every three days, therefore it is rarely chosen by athletes who do not tolerate injections. But for the rest it is not a problem. Especially when testosterone propionate for a beginner is more than compensating for any potential deficiencies. This is a drug with pronounced anabolic and androgenic activities. Count with him on visible improvements: high-quality muscle growth, increased endurance, performance and strength, increased muscle relief, increased muscle density, increased libido during the course (at the end of the course libido decreases). The recommended dosage of testosterone propionate is democratic for beginners – 100 mg every other day or two days later. One of his bottle / barrel (10 ml) will last at least 20-30 days of use. Yes, and there is a steroid in comparison with analogues moderately, which makes it an excellent choice for the ratio of availability and efficiency. Testosterone propionate courses for beginners in bodybuilding – with turinabol, methandienone, nandrolone phenylpropionate, boldenone and others according to priorities. Severe fluid retention during the course is usually not observed, therefore, like the previous isolated steroid (turinabol), testosterone propionate can be effectively included in the courses of drying, and not only used for muscle growth or increase in strength. The drug for solo use is quite effective, but more often it is used all the same in combination (testosterone in any form is a steroid providing visible improvements). A course of testosterone propionate for beginners is recommended for a period of 6 full weeks. This is, in fact, the only testosterone ester that can be recommended to both men and women (but only in reduced doses). For girls, dosages of about 20-50 mg every 5-7 days are considered acceptable (the maximum duration of use is 6 weeks). Otherwise, you can encounter virilization. Analogues for the active substance (testosterone propionate): Testosterone Propionate Balkan Pharmaceuticals, Testoged-P, PharmaTest-P and other drugs of various companies. 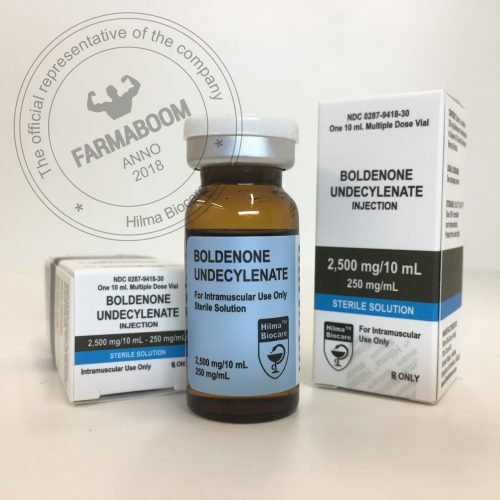 Boldenone is equally often used by both experienced athletes (combined) and beginners (in solo or in combination with drugs like turinabol or testosterone propionate). In sports, the most common steroid ester is undecylenate. It differs from analogues mainly by prolonged action (about 2 weeks), which makes it a good choice for athletes who do not tolerate frequent injections. Boldenone for beginners is effective in doses of about 400 mg per week (doses of 200–600 mg per week are recommended). Accepted courses about 6-8 weeks, while it can be recommended for both men and women in sports. For girls, only reduced doses are allowed – about 50-100 mg per week (perhaps a bit more, if there is good tolerance). Boldenone Undecylenate is not the strongest steroid, but its effects are matched for beginner athletes or combined use. This is a good drug for appetite and inclusion in mass-enrollment courses. Over the eight-week period, subject to the recommendations, it will provide a qualitative increase in muscle mass, increase endurance and strength indicators, improve blood formation and, accordingly, the supply of oxygen to muscles. Strong fluid retention is not peculiar to it, therefore, the gained muscle mass is obtained precisely with qualitative, and the rollback at the end of the course is usually insignificant. What risks accompany boldenone undecylenate for beginners with regard to side effects? Boldenone is today considered one of the safest steroids. Aromatization is weak, respectively, estrogenic side effects are rare. Its androgenic activity in comparison with testosterone is reduced – 50% of this. Disorders, such as acne, the growth of aggression and sebaceous skin, occur mainly in case of predisposition. It should also be noted that boldenone is not toxic to the liver and does not greatly reduce the natural production of testosterone. Therefore, the complex post-course therapy does not require (as a rule, it is enough to take tamoxifen in a small dosage). Combined courses of boldenone for beginners: with testosterone propionate to increase strength, appetite and increase muscle mass; with methandienone for a pronounced set of muscle mass and appetite; with stanozolol for high-quality muscle growth, increase in muscle density and relief; and others depending on the goals. Boldenone (Boldenone Undecylenate) due to its mild exposure and low risk of side effects is well included in almost any course. The main thing here is to comply with the dosing regimen, frequency and duration of use. On the market, boldenone for a long time and earned its status as a harmless and almost universal steroid long ago. Developed it back in the 50s in the company Ciba: originally “bold” (slang) was intended for veterinary and even medicinal use in medicine, but over time it became more known as a sports drug. In all areas it enjoys consistently good demand. Analogs on the active substance (boldenone undecylenate): PharmaBold 300 and PharmaBold 500 from PharmaCom Labs, Equipoise (Boldenone-E), Baldever, Boldenone Undesylenat Injection from British Dispensari and other drugs of various companies. Stanozolol (Winstrol) is a steroid marketed in several forms. First, you can purchase a tablet form (tablets or capsules), and secondly, an injection form (ampoules or vials from 1 to 20 ml). According to the action, both versions of the steroid are identical, the main difference between the two is, in fact, in the method of application, oral or injection. Stanozolol (Winstrol) for beginners is not news, and experienced athletes regularly resort to using it on drying courses (and not only). Steroid on sale appeared in the 60s of the 20th century and has now become one of the most famous among athletes. It was developed initially for medical / medicinal purposes and for use in veterinary medicine, but it received its greatest popularity later in sports. There are several high-profile doping scandals associated with its use (see the story of Ben Johnson). Stanozolol (Winstrol) for beginners is not the best choice for gaining muscle mass, plus the drug is not that. It is effective to ensure the highest quality muscle growth (increase in relief and muscle density) due to the fat-burning effect and the removal of excess fluids. Also, the steroid is in high demand in the athletics disciplines, boxing, hockey (and other disciplines), because, like no other, contributes to increased endurance and strength. However, taking Stanozolol (Winstrol), beginners should not forget about the risks. Side effects, although rare, can cause inconvenience. In particular, hepatotoxicity of the oral form of the steroid has been proven, and the disadvantage of the injectable variant is the need for frequent injections, which can be painful. This is a high-speed anabolic with a duration of not more than two days (half-life – from 8 to 24 hours). The optimal dosage of stanozolol for beginners varies depending on the form of release. In tablets it will be 30-50 mg per day, in injections – 50 mg per day or every other day. For women, the injectable version of the steroid is not recommended. Athletes can relatively safely use only tablets (or capsules) in reduced doses – no more than 10 mg per day. Otherwise, the side effects of virilization will be difficult to avoid. Stanozolol courses for beginners in bodybuilding – with testosterone propionate, turinabol, nandrolone (phenylpropionate or decanoate), methandienone and other drugs in accordance with the objectives. Ligaments with nandrolone and / or methandienone are mass-produced, since both “methane” and “deck” are aimed precisely at increasing muscle mass, and not at getting hard and prominent muscles. In solo, stanozolol can be used effectively, in particular for athletics tasks, but nevertheless it is more often used in combination. 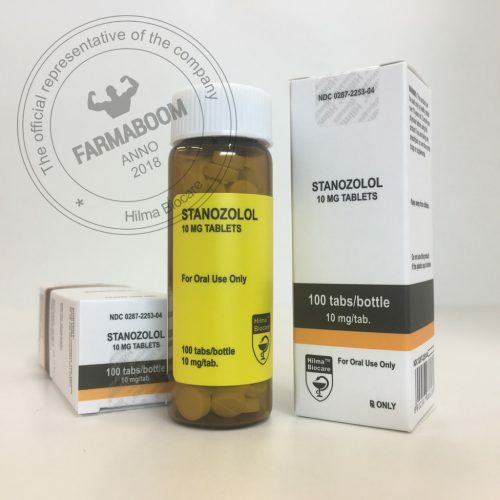 Analogs on the active substance (stanozolol): oral – Azolol, Azolol capsules, JV Stanozol, Stanodrol-10; water based injections – Winstrol Depot, Strombadzhekt aqua, Farmastan, Stanozolol suspension, Stanover (1 ml or 10 ml); oil-based injectables – Pharma Oil Base; and other drugs from various companies. Of course, we did not mention all steroid drugs that are relevant for beginner athletes. Depending on the priorities in bodybuilding and other popular disciplines today, beginners also use nandrolones (phenylpropionate and decanoate), melanotane, drostanolone (not often), oxandrolone (more often), and many others. But, I think, you caught the main idea – a beginner athlete should not immediately take up the most difficult drugs in the hope of quickly getting the championship form. Also an important aspect is how steroids courses are conducted for beginners. While experienced bodybuilders use complex combinations of AAS to achieve their goals, beginners often have enough solo to use products like Turinabol. In the early stages, when the body is not yet hardened by long courses, steroids, which are considered “light,” are enough for your results to reach a higher level. Moreover, among the so-called “light” or “soft” steroids there are drugs for almost any task. No less serious mistake would immediately take the maximum allowable dose of the same Turinabol or testosterone propionate. Anabolic and androgenic steroids for beginners, although relatively safe, but with prolonged abuse (especially without proper experience), can lead to consequences. For women, the most dangerous side effects of virilization are, for men, various androgenic, estrogenic or progestogenic disorders. This is for the pros allowed doses of boldenone in 600 or 800 mg per week, and for beginners, such quantities are not just irrational, but also potentially dangerous. More is not always better. In general, if you have already decided on the choice and method of using drugs for the first courses, then you can purchase them in our farmaboom.com store at the best prices. The rest are advised to visit the Forum resources first. Experienced consultants will not only help you choose steroids for beginners in bodybuilding, but also draw up the right course with post-course therapy. Master of Sports in weightlifting, master of sports of international class in boxing, bodybuilding coach, sports doctor – these people know how to take sports pharmacology.